This is a checklist of all not-for-sale bonus items (heads, figures and accessories) that have been included with orders from Onell Design since 2010. If you notice any errors or omissions, please PM me or post here. 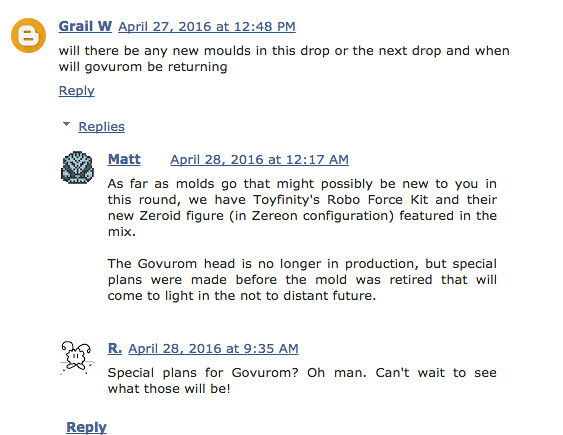 * The bonus item was either a black or GID Govurom head. Both were packed with black and GID PVC switch pins and a black PVC scarf. ***Technically, only the Argen X head is the bonus item since the Stealth Buildman could be purchased from the webstore. Stealth Argen X was given as a bonus item in orders beginning around Wave 34 and continuing through recent waves (at least until Wave 42 in Jan. 2015). Note: Some orders contained a bag of various scarves and Switch Pins. All of these had been previously released in some form, so they are not included as bonus-only items. **** This was not an actual wave, but these bonus items do not coincide with any specific drop. 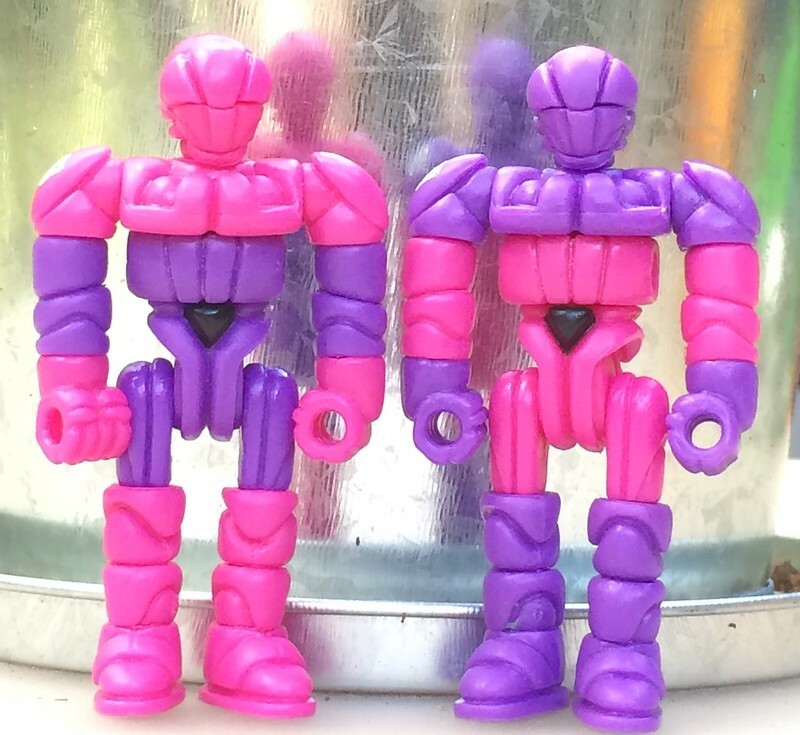 By others' accounts, these sets began showing up as bonus items in orders beginning around November 2014. They were released semi-publicly at Onell's booth at 2014 Designer Con (held from 11/8 to 11/9/14) as the LSA Standard and LSA Granthan Corps figures sold from the booth were packed with the respective Pheyden head and torso. ***** These were separately bagged in sets of 2. They are slightly different from the single set included with the Glyknights because the blaster 'tip' is not painted on these 2-pack sets. ***** These were separately bagged in sets of 2. They appear to be the same as the single set included with the Glyknights. ***** These were separately bagged in sets of 2. They appear to be the same as the single set included with the Glyans. Hey, is this brown bird head and this black visor glyarmor head throw-in extras? 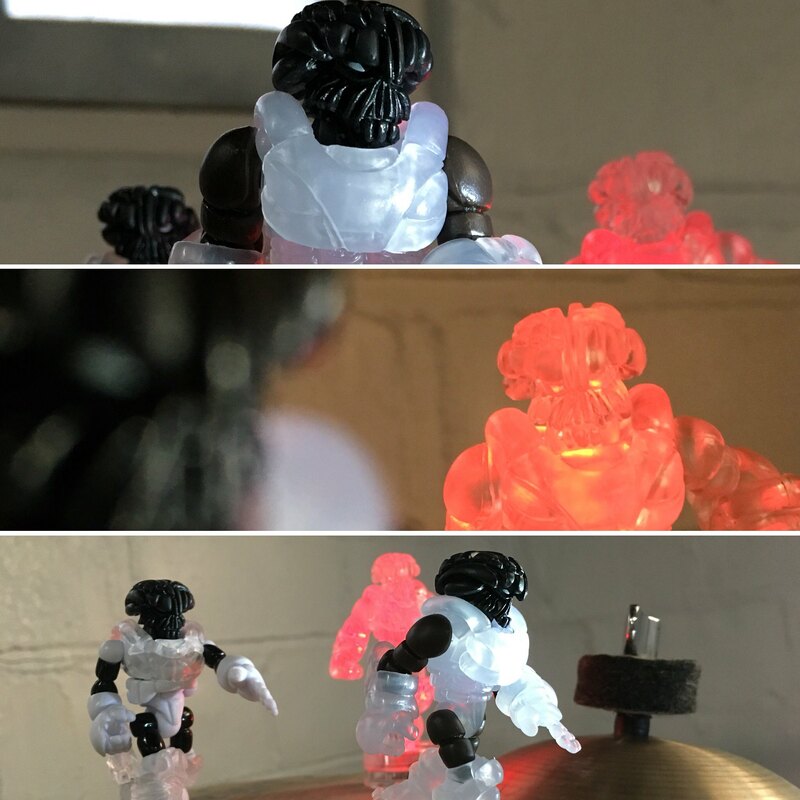 I can't ever recall getting extra heads for my glyarmor figures unless it was the glow glyarmor figures. Netkid wrote: Hey, is this brown bird head and this black visor glyarmor head throw-in extras? 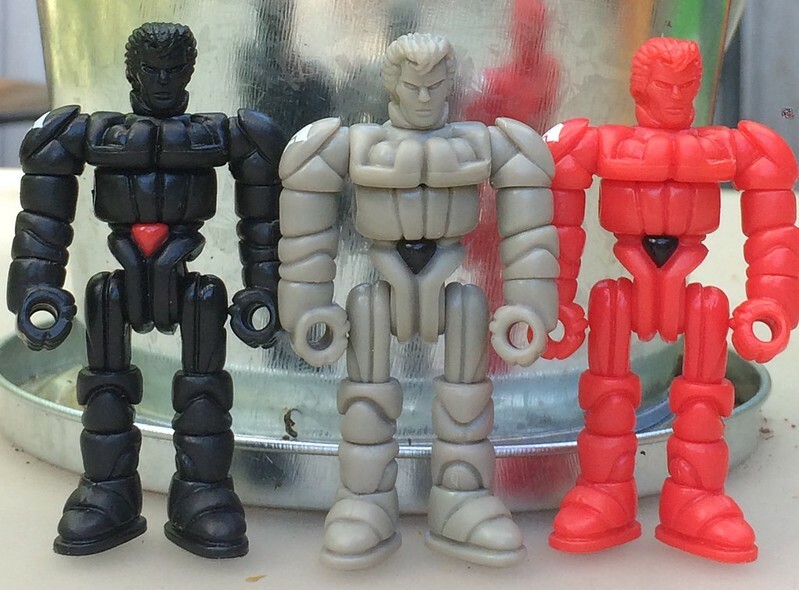 I can't ever recall getting extra heads for my glyarmor figures unless it was the glow glyarmor figures. I'll have to check, but my guess is that those came with the armored Glyans. Yes, you are right! 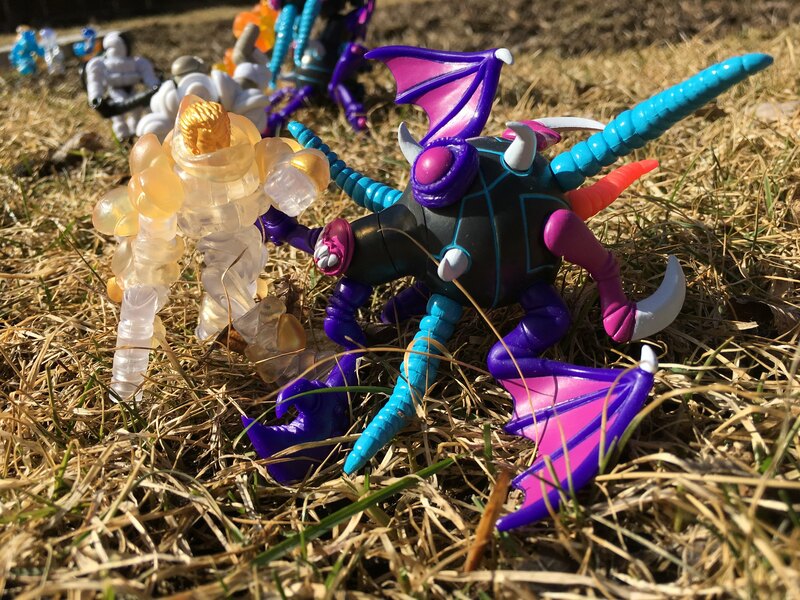 I just checked the Glyos News Dump's drop screentshot archive and those two heads did indeed come with the drop's armored Glyan, NOT the glyarmored figure. Wanted to post this in the proper place after seeing Netkids comments on the 2017 April drop thread. Last year beginning with the TMNG drop I got a few of these heads, not sure which ones came with what drop, but I'm fairly certain that the Tan EMP colors and the solid black and Red Microshin heads came after the Neo Tracker drop. All freebies. Witchwitchwitch wrote: Wanted to post this in the proper place after seeing Netkids comments on the 2017 April drop thread. You just blew my mind. I will add these on to the list. Thank you! I need some of that metallic blue microshin glyan head in my life! Lazzy Lizard wrote: I need some of that metallic blue microshin glyan head in my life! The metallic blue, stealth Microshin heads, and the EMP warm Gray Darkness soldier head showed up around the TMNT drop after my 3rd order. I was getting obsessed with the double axis joint builds with Teki, Koshiro, and the Glyan Spectre Commando. I really love the deep chocolate brown of Teki, so made another purchase of that plus a few more stealth Glyan's and axis joints. My guess is the folks at Onell rewarded my Glyan love with those heads, I was stoked! Was inspired enough to build the center glyan in this pick. The rest of those heads all came with January's drop I'm pretty sure. The addition of Hyper Henshin axis joints added new build potential to the Gold Michroshin head! There's also a warm grey Microshin head. These match the Reydurran drop. 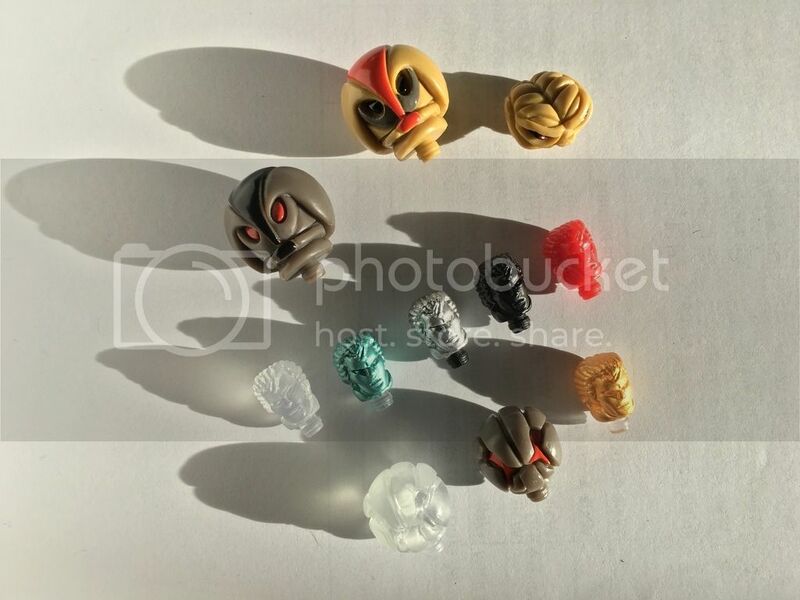 There's also these visored Glyan heads. Not sure what other colorways may have been given out. I thought red & warm grey & possibly the dark & light blue from the ecroyex drop? I haven't seen those yet. Any pics? Note, the Translucent figure is not actually red, I was just having fun with lighting. I really hope he's dropping hints with these Govurom heads popping up from time to time! I'd been waiting for his resurgence for some time now. Lazzy Lizard wrote: I really hope he's dropping hints with these Govurom heads popping up from time to time! Me too, we still have yet to see Govy's return. 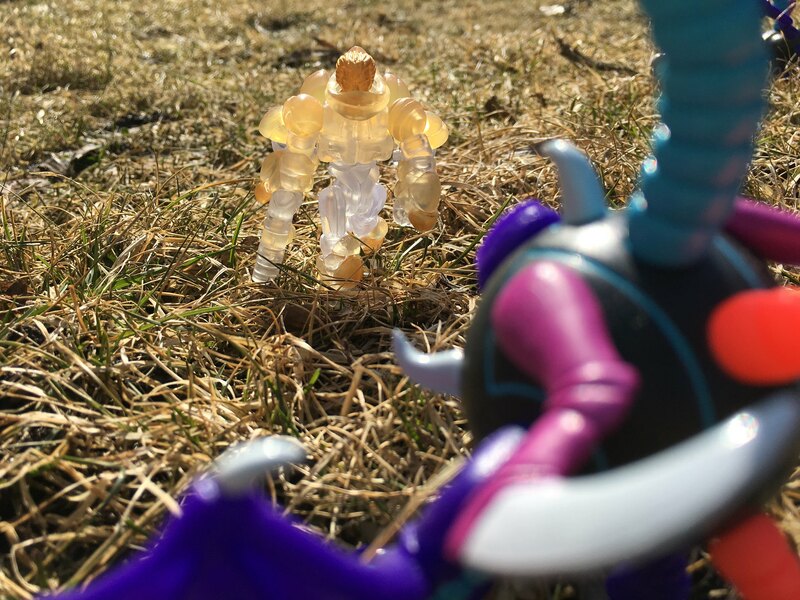 Yeah I've known about the idea of his return but he keeps getting bumped for characters that are being made from Glyos history which I'm very happy to see come to light. I neglected to bug Matt last weekend while at Dcon, but I was busy soaking in all the info he was dishing out about current & stuff in the works. Lazzy Lizard wrote: I neglected to bug Matt last weekend while at Dcon, but I was busy soaking in all the info he was dishing out about current & stuff in the works. Damn, to be a fly on the wall for that conversation, or better yet, to have actually been in that conversation, very cool! 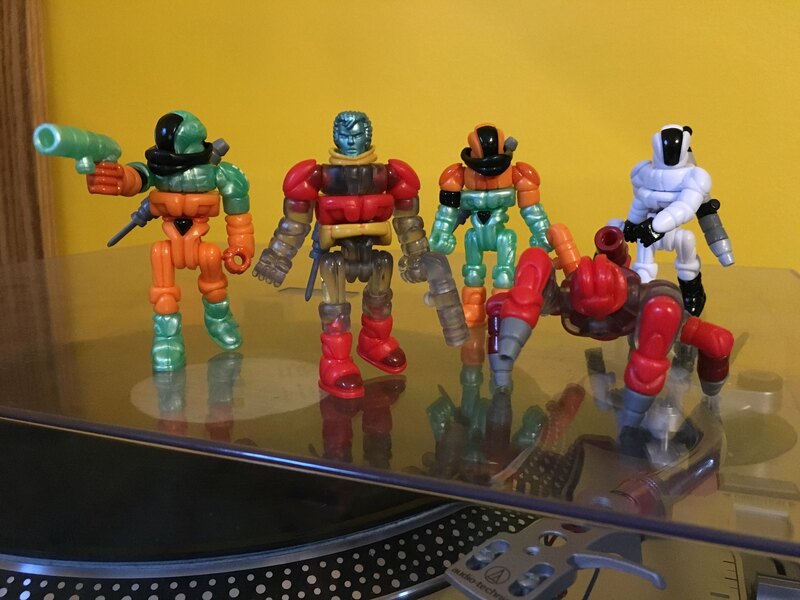 The Deconstructors drop from Bio-Masters included a bonus Argen head and scarf with some orders- Deconstructor yellow-orange with red paint details (on the head). This is mostly a reminder for myself when I update the list.